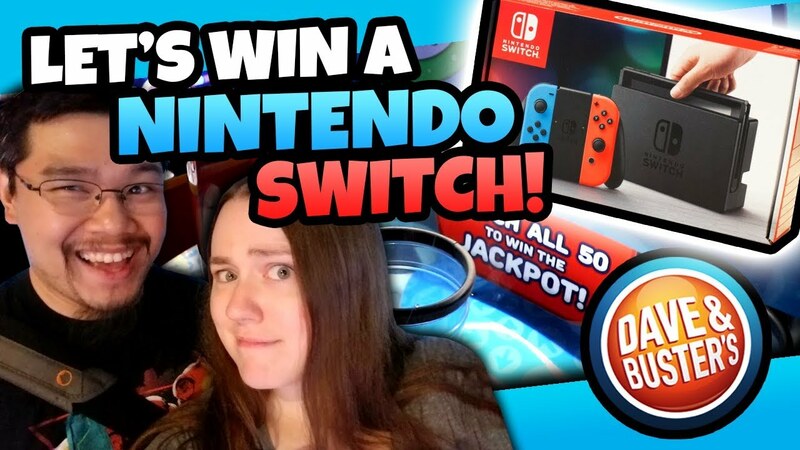 Winning a Nintendo Switch is hard to do with tickets if you can’t win arcade jackpots! We try to win tons of tickets to get a Console that almost everyone wants! The Nintendo Switch Console is gonna take 100,000 tickets for us to take it home with us! We have saved up almost enough to take one home but we are short a few thousand tickets! Let’s see if we can win enough arcade tickets to take home the Nintendo Switch! For more Dragon Claw Games videos, don’t forget to click the bell icon so you’ll be notified for more videos and subscribe to our channel! See you next time on Dragon Claw Games! ⭐We have a P.O. Box now! Shirts, Hoodies and Buttons! Show your #teamDCG Pride! 🐉Check out our eBay Store for some of our favorite Plushies! WINNING A NINTENDO SWITCH AT THE ARCADE! WINNING A CLAW MACHINE FROM THE ARCADE!?! We WON A NINTENDO SWITCH At The Arcade!